I finally finished testing out my paper pieced pattern for the wreath. I have two version, one previously published with a smaller bow and then I made one with a fuller bow. The differences are only one piece in the bow. I'm sure there are other paper pieced wreaths out there so this is just my contribution. 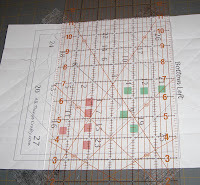 Also, I'll leave the paper piecing tutorials up to the experts. 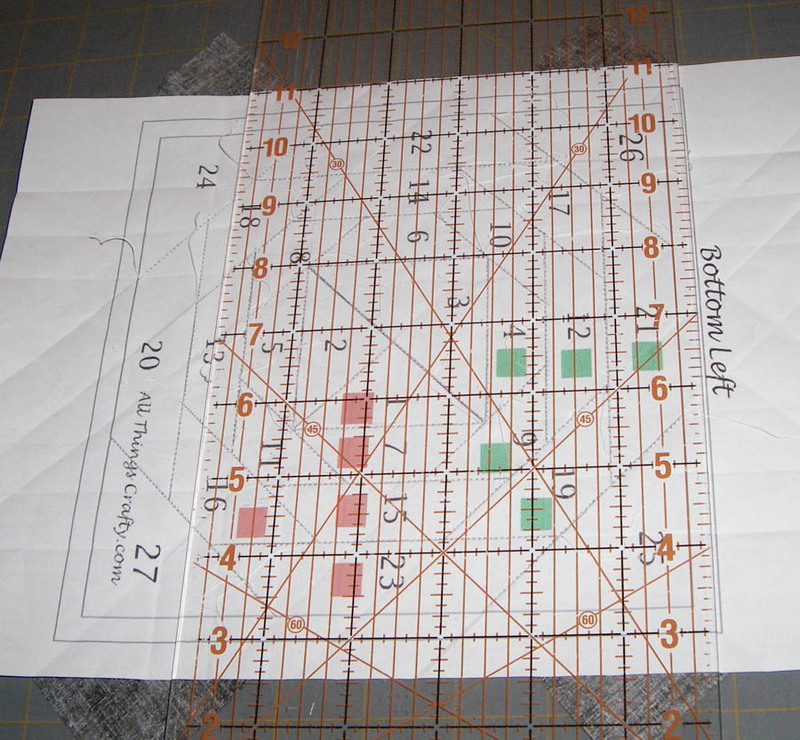 Here's a link to a bunch of YouTube instructional videos I found on Paper Piecing. Here is my recent finished wreath below. It finishes at 14.5" squared. Each of the 4 blocks finish up 7.5" squared. I can't decide if I'm making another wall hanging and adding bling or I'm going to finish it as a pillow. If I'm making a pillow, I need to go shopping for a 14" pillow form. Keep in mind, wreath and bow colors can change and be customized for any holiday. I am thinking about updating the wreath again to add some extra pieces in the top left and right sections to make it fuller. I'll let you know if I do. For now, this will do. 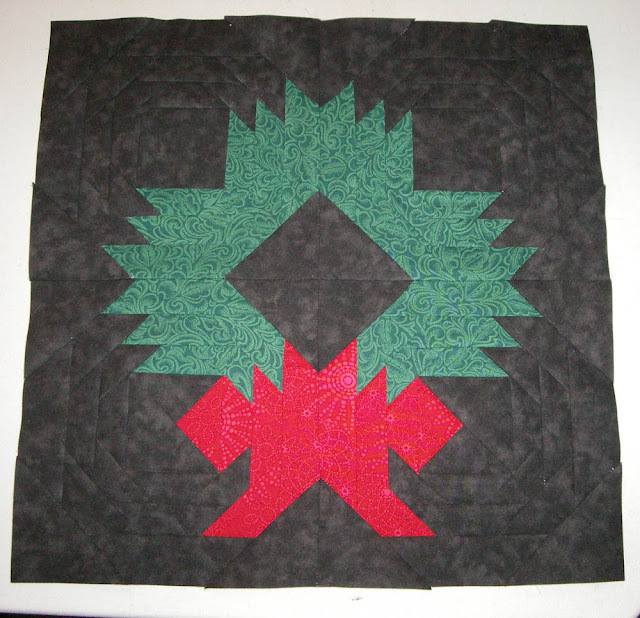 Here are the links to download the pdf patterns to my paper pieced wreaths. Enjoy!! The files are stored on a site called Media Fire. Please be kind and reference my sight if you use the templates. To trim the outside of the individual blocks, use your ruler to ensure a 1/4" seam. The printouts were just a smidgen bigger. Don't skimp on your fabric pieces. It makes it so much easier when you have enough fabric to cover the requirements of each piece. I use basic printer paper. It's cheap and readily available and super easy to print the pattern out on. I leave the paper on until the 4 pieces have been joined together for the full wreath. Be creative in your decorating.